What’s to whine about when it comes to diamonds? Well for starters they can be too small or so big they resemble cheap gaudy jewelry on a Jersey girl. What about the style of the cut? Do real princesses actually wear the princess cut diamond or did Mr. Nagy really design it for the collar of poodle with a princess haircut? And then there’s the color which can range from headlight blue to pale Chardonnay. And now we are finally back to wine. 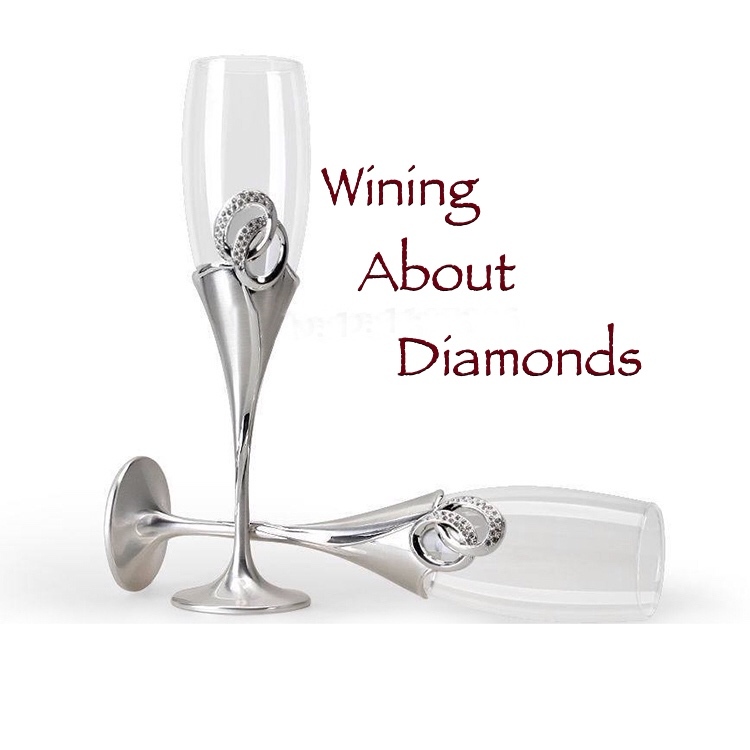 What exactly do diamond have to do with wine? Hopefully nothing. And even after shoving their favorite bottle of Pinot Grigio in the fridge, most people are still alarmed by the formation of small tiny crystals on the glass or cork. Like drinking and driving this is something that simply just should not happen. In fact, I prefer both my drinking and driving to be over 55 (degrees & mph, that is). A fine bottle of wine simply has no place wedged between a bottle of Coke and a gallon milk. My wine stored at a cool 58 degrees and then gently poorer into my favorite caraffa. 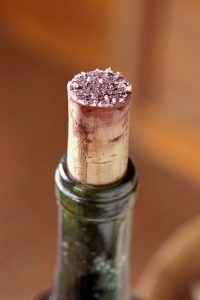 The wine bottle was designed to retain wine diamonds and sedimenti so they do not reach the caraffa. Plus wines shows best when given some time to acclimate and breath. Wine decanting is a great way to keep sediments and crystals out of your glass but it doesn’t explain why they are there in the first place. A good analogy is old-fashioned ice tea. When the tea is heated, sugar is easily dissolved. As the tea cools, its ability to hold the sugar in solution diminishes. There is simply less space between molecules at cooler temperatures and sugar crystals fall out to the bottom of the glass. Wine can be thought of as an even more wonderfully complex solution. 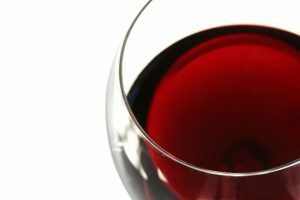 Wine naturally contains tartaric acid, along with malic acid and citric acid. Citric acid is commonly associated with citrus fruit and malic acid is the sour apple flavor of hard candy. Tartaric acid is the lesser known of this trio of acids but is actually the most tolerable. The key word in malic acid is mal which translates from Italian as ache and is the prefix in words like malice and malicious. 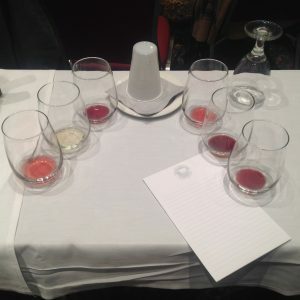 Although malic acid can accentuate the apple tones in varieties like Riesling, winemakers go to great lengths to keep them from souring the wine (and we’re not talking cement shoes in Lake Michigan either). And with the exception of sangria and mimosa drinkers, few wine enthusiasts appreciate much citric acid in their wine either. Tartaric acid is actually subdued sister of malic acid. Chemically speaking, are almost identical. They are both 4-carbon chains but malic acid has a double bond between the middle two carbons whereas tartaric acid has an extra -OH (hydroxyl) group on the carbon. This difference makes tartaric acid much less tart and she also contributes little to the pH or acidity of the wine. In fact, tartaric acid is rarely an issues outside of producing unsightly wine crystals as seen below.